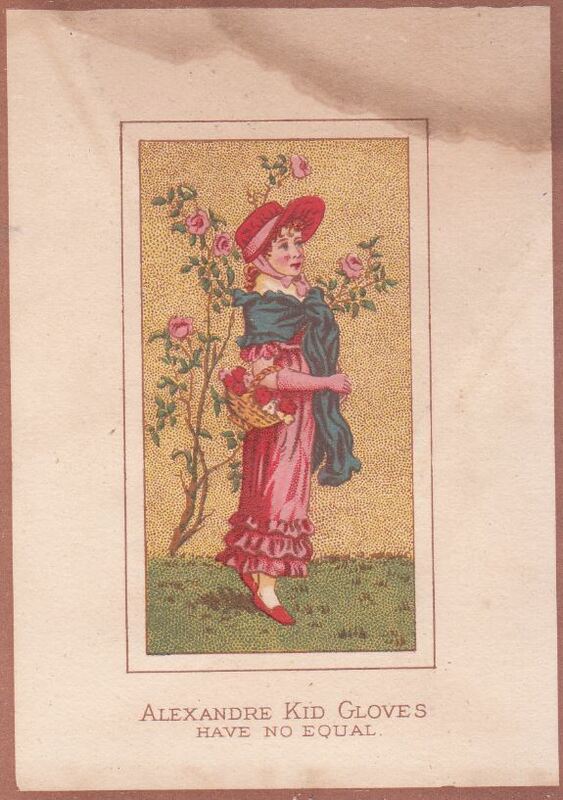 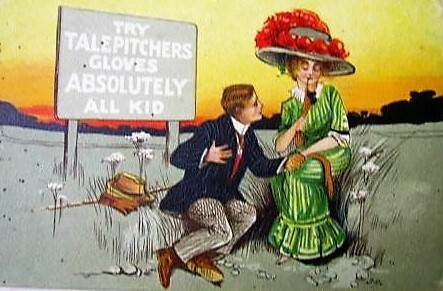 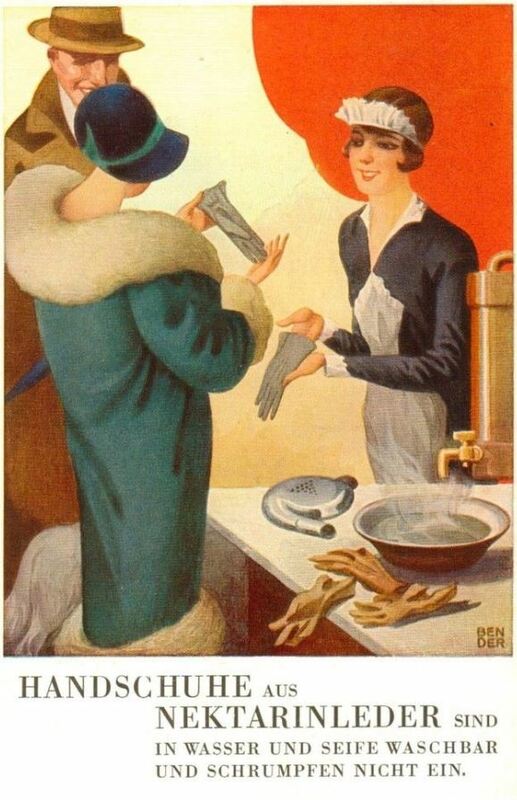 Gloves pop up everywhere and their inclusion in postcards is no exception. 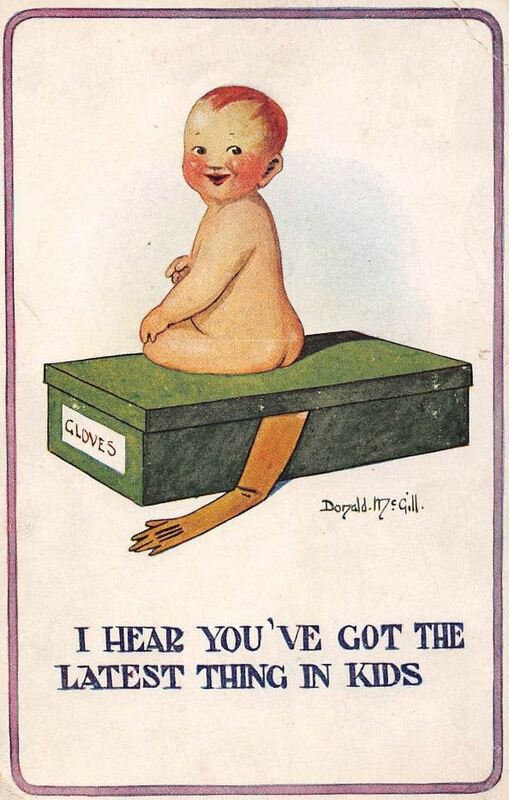 Some are for advertising and some for humour. 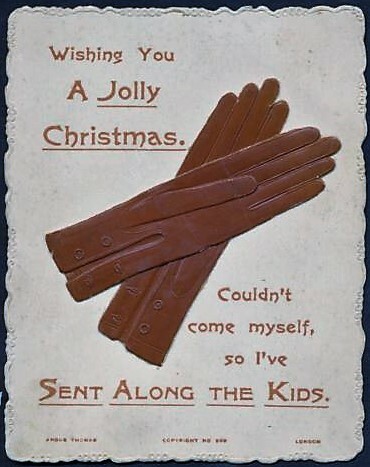 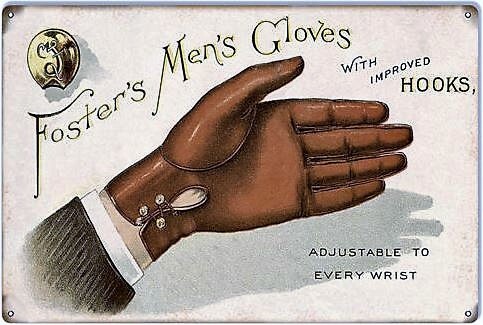 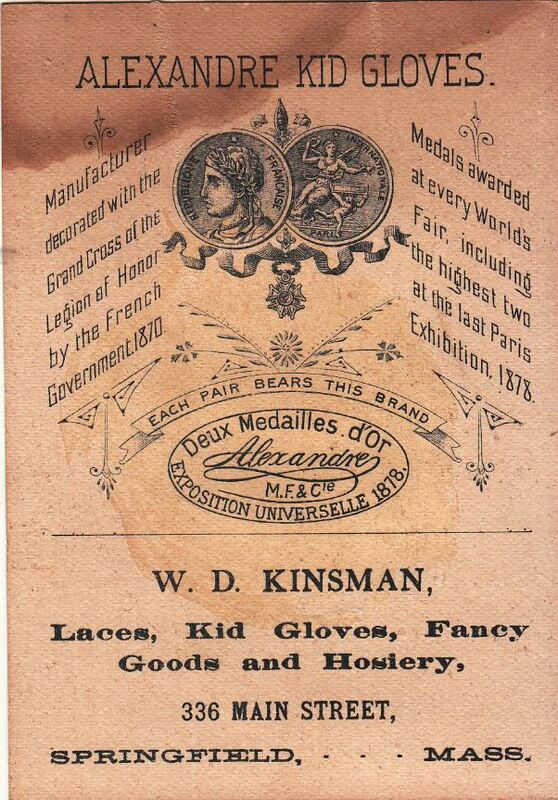 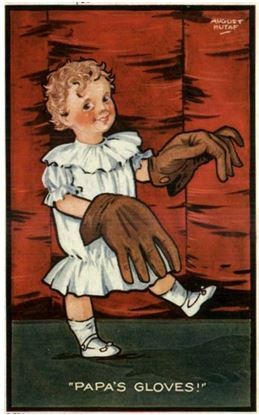 In America leather gloves were known as ‘KIDS’ probably because the finest leather gloves were made of kid skin. 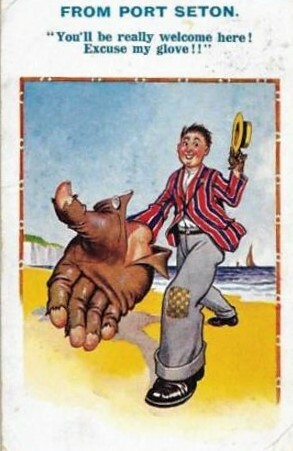 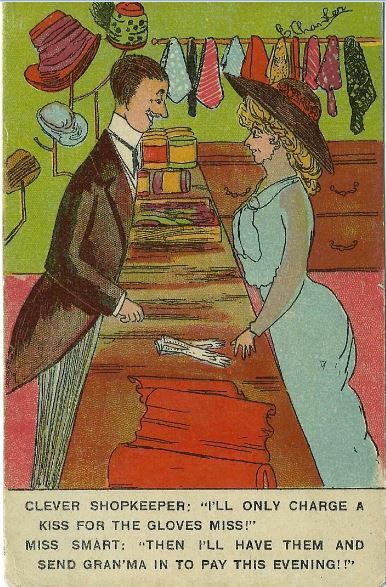 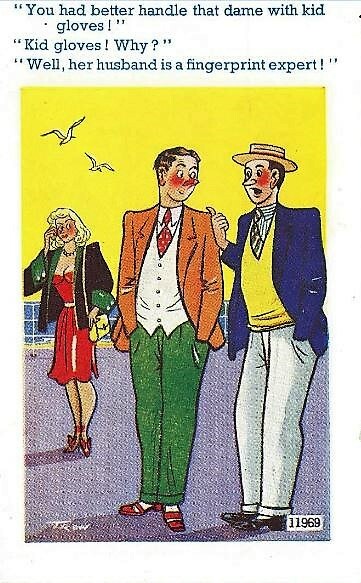 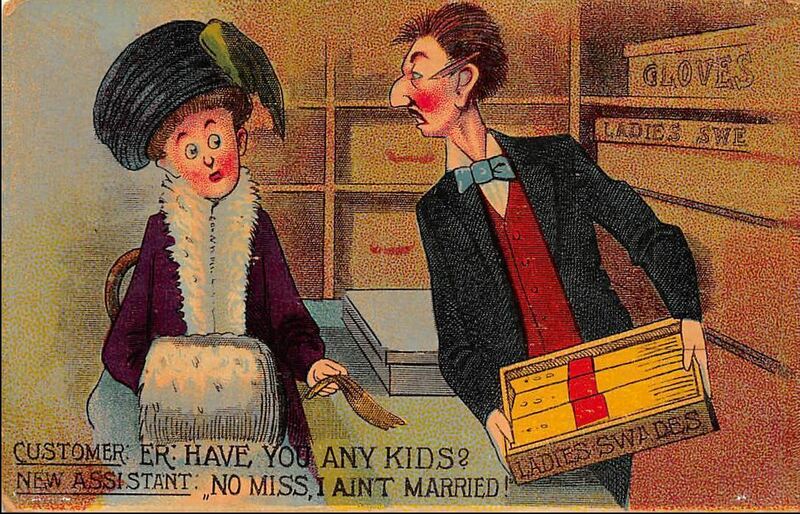 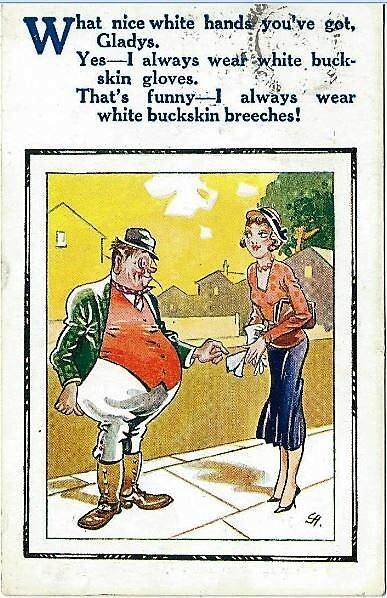 WARNING: The postcards shown at the bottom of this page contain some ‘seaside’ humour, if you are sensitive to this you may want to look away now.